My spinning tonight was very sweet. No particular goal in mind, beyond the fiber slipping silkily through my fingers. I noticed the rhythm of my breathing was syncing with my movements. 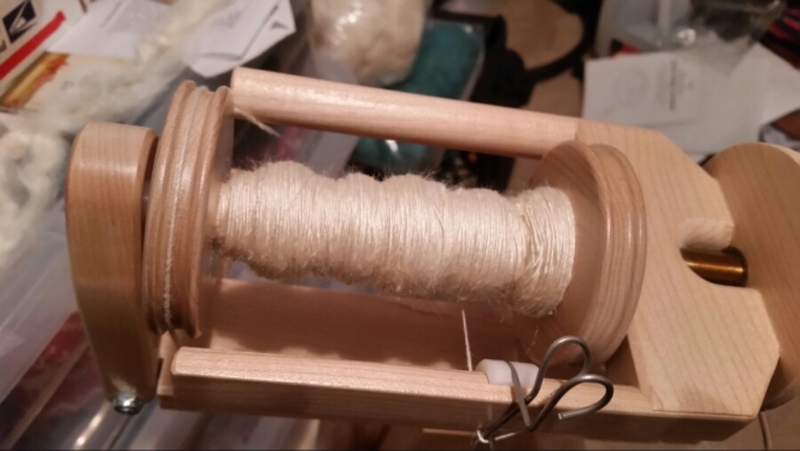 I’m nearly done with this first bobbin of the silk 3-ply I’m creating.